It is a case of “now or never” for H Raja of the Bharatiya Janata Party (BJP) and Karti P Chidambaram of the Congress from the Sivaganga Lok Sabha constituency in Tamil Nadu, where 24 others are also in fray. For both the candidates, a win for either will help them establish themselves nationally besides raising their stature within the State. This has resulted in a keen contest in Sivaganga with both parties out with their calculators. All sorts of calculations are being made but it would suffice to say that the political arithmetic here is deep down to the last man/woman who will be casting his/her vote. The contest here is witnessing many twists and turns - the latest being the scrutiny of the contribution of P Chidambaram, former Union Minister and one of Congress stalwarts, to the constituency’s development and progress. Chidambaram was elected from Sivaganga constituency seven times - 1984, 1989, 1991, 1996, 1998, 1999 and 2009. “If elected, I will ensure Centre's programmes are properly implemented in the constituency,” says Karti at roadside elections meetings. “The Centre has implemented many programmes for the welfare of Tamil Nadu people,” responds Raja in his meetings. “I will ensure that students will continue to get educational loans. During our period (2009-14), 20,000 students in the constituency got loans. We will waive farmers loans. It was fully implemented in this constituency in 2008,” says Karti. “Prime Minister Narendra Modi’s government has helped people with financial aid to construct toilets under the Swachh Bharat scheme. People have been able to open zero balance accounts in banks. Nearly 47 lakh farmers in Tamil Nadu have benefitted from the income support scheme. If we come back to power, old farmers will get pension and they need not earn the wrath of their children,” counters Raja. Both of them remind the people of Mahatma Gandhi National Rural Employment Guarantee scheme. “We will increase the number of guaranteed employment to 150 days from 100. Also, remember we can provide families below poverty line Rs 6,000 a month or Rs 72,000 a year,” says Karti. Overtly this is what both candidates tell their electorates but the BJP candidates then changes tack to question a few things. “You have sent P Chidamabaram seven times to Parliament from here. What has he done for this constituency? The only thing he has ensured is the closure of 10-12 textile units in the region that gave employment to 1,500 people each. He had been the Finance Minister and Home Minister. Has the constituency benefited anything from these posts he enjoyed?” asks Raja. “My father brought the Bharat Heavy Electricals Limited component factory at Thirumayam in Sivaganga. The Spices Park and a couple of projects were started by us but they have got stalled” responds Karti in a video message. He says that he would bring in more industries to the region if he gets the mandate. “That is exactly what we are questioning. Chidambaram could have made Sivaganga a Singapore when he represented our constituency seven times. I have grown up and lived here all these years and Sivaganga still remains almost the same lacking development and no worthwhile industry,” says 60-year-old P Velusamy at Sivaganga. Probably, Tamil Nadu Chief Minister Edappadi K Palaniswami gave a whole new twist last week while campaigning in the constituency. He wondered how the people in Sivaganga constituency could trust Karti when his father had failed to bring any good scheme there. Raja rubs Karti more at his roadside meetings saying the region lacks water for drinking and farming. “We can get the scheme to get water from Cauvery which can fill tanks in Sivaganga. The scheme will cost Rs 7,000 crore. We will get it done as I can personally seek Modi’s intervention,” says Raja. Karti also responds, though weakly, that he would also focus on drinking water. “The expectation here is that if he wins, Raja could become a minister at the Centre. He can help in the development of this place,” says M Arunachalam, a 79-year-old farmer from Kottakudi village that is barely a kilometre from Sivaganga town. Arunachalam has six acres of land on which he grows paddy. He has dug a borewell for his irrigation needs, though he feels water for irrigation is a must. M Muthupandi, a former councillor of Sivaganga and an All India Anna Dravida Munnetra Kazhagam (AIADMK) local leader, says Raja has assured to get a rail link to Thondi, a coastal town 57 km from Sivaganga. “Getting a rail to Thondi means, it can be developed as a port and it will benefit the whole region. We should have seen all these developments years ago but …,” laments Muthupandi. A couple of AIADMK workers in Sivaganga feel that getting Raja elected could finally see some salvation for the constituency that has lacked overall development. A Desiya Murpokku Dravida Kazhagam (DMDK) local leader in Sivaganga says that Chidambaram’s role in Sivaganga’s development or otherwise has come under close scrutiny. “When you start accusing and alleging other parties, you should know you will also come under scrutiny. The problem for the Chidambaram family is that it has lost its reputation,” the leader, who does not want to be identified says. Raja never fails to hammer the point that the Chidambaram family has got anticipatory bail until 27 April. Agrees Muthupandi, the AIADMK leader. “The whole family is caught up in various allegations and they are seeking bail from time to time. This has only weakened the Congress-backed alliance,” he says. “In 2009, we all thought Chidambaram lost. A case against his election is pending in the Madras High Court even now. In 2014, fearing defeat, he didn’t contest and this time he is forcing his son on us,” says Velusamy. Locals agree that the Chidambarams’ standing in the constituency is at its lowest now. The nomination of Karti has embittered its main alliance partner Dravida Munnetra Kazhagam (DMK) cadre too. As a result, the DMK seems to be less enthusiastic in backing Karti or taking part in their campaign. “Even among Congress cadre, there is a feeling that Karti is not the right choice,” says a BJP worker, not wishing to identify with name. This doesn’t mean that Raja’s candidature has been welcomed by all. “Raja is a short-tempered man and is often seeing issuing statements that sometimes divides people. There is some sort of hatred towards him and we hope it will help us,” says a Congress leader at the national level. “The statement on Raja is only to tarnish his image. His is an affable and a pleasant person to interact with,” says an AIADMK worker in Sivaganga. The other problem for the BJP is that the current member of Parliament P R Senthilnathan was upset by Raja’s nomination. “We hear that within AIADMK and those around Senthinathan people could play spoilsport in Raja’s prospects,” says S Chandru, a trader in Sivaganga. AIADMK and BJP leaders confess that Senthilnathan was initially bitter but with Chief Minister Palaniswami speaking to him personally, he is vigorously campaigning for Raja. “Senthilnathan is going all out to ensure Raja’s victory offering all sorts of help,” says Muthupandi. To Raja’s advantage, the Hindutva factor is slowly rearing its head in the contest here. “There is a Hindu awakening in Sivaganga given the way the DMK has criticised our belief and customs. My friends and I will be considering this before casting our vote,” says A Murgesan from Narputham village near Kalayarkoil, about 20 km from Sivaganga. Agrees R Gurusamy, a farmer from Thiruchetty village near Sivaganga, adding that he had voted for the AIADMK in 2014. The local DMDK leader, too, says that the Hindutva factor is coming into play slowly. But for S Subramaniam, a farmer near Devakottai, a change is necessary and he might opt to vote for the “hand”, the Congress symbol. His neighbour Palani will vote for Karti along with him since he has been a staunch Communist throughout his life. For Chinnaraj and Suresh, who belong to the nomadic Scheduled Nari Korava Tribe, the decision will be based on what their chief says. “Our chief will discuss with us before we all decide who to vote. No one will go against the decision,” says Suresh, discounting any dissent in such a decision. They have moved into Samathuvapuram nearby recently and their main issue is proper house with power and water connections. “Whoever promises to get this done for us will get our vote. Come and see our place, we don’t even have doors,” says Chinnaraj, who says his community has a total of 165 votes at Samathuvapuram. Asked how their chief would decide, Suresh says they will discuss their issues with the political parties. So far no party has approached them but indications are that an influential AIADMK local leader could swing their votes in his party’s favour. In the 2014 elections, P R Senthilnathan won, getting 4.75 lakh votes. The DMK finished second with 2.46 lakh votes followed by Raja, who got 1.33 lakh votes and Karti, who got 1.03 lakh votes. The CPI got a little over 20,000 votes then. The BJP camp says that adding AIADMK and Raja votes of 2014 can get them around six lakh votes. “But V Pandi of Amma Makkal Munnetra Kazhagam can cut into AIADMK votes. We expect Pandi to get at least two lakh of the votes that Senthilnathan won last time,” says a BJP cadre working for Raja at the latter’s home town Karaikudi. A year ago, TTV Dinakaran, nephew of former Chief Minister Jayalalithaa’s jailed aide V Sasikala, launched AMMK after he was ousted from the AIADMK. Workers and leaders cutting across parties in Sivaganga, feel TTV Dinakaran and his party could muster a good number of votes from the dominant Thevar community in the region. In addition, Raja’s Brahmin community is seen as some sort of handicap. “If you add DMK, Congress and CPI votes, Karti could get nearly 3.75 lakh votes, which means we have an advantage of just over 30,000 votes” the BJP Karaikudi cadre says. “We think there could be a bigger dent in the vote that Raja will get given the bad image he has in the constituency,” says the Congress leader. The BJP is working hard to increase the so-called advantage. “Going by past history, we expect at least 70 per cent voter turnout which means, there will be at least 11 lakh votes cast during the elections. If we add the votes that BJP, Congress and AMMK are likely to get, it leave a little over one lakh votes that needs to be influenced,” says the cadre. Agrees the Congress leader that these lakh-and-odd votes will count as the crucial factor. “We are confident that we will garner most of them. That’s why you see the Congress campaign a little slack,” he adds. According to AIADMK and BJP workers, Karti has cut down on his campaigning on slack response from the gatherings. “But they seem to be up to some mischief,” warns a State BJP leader on condition of anonymity. “Chidambaram and his son seem to depend on playing mischief at the last minute. In fact, I think they would already have set up things in place for such things days ago,” says the leader. Given a fair chance, the BJP things Raja could win. But there are sceptics among the party who fear that all might not be hunky dory in Sivaganga, especially since the Chidambaram’s reputation is at stake. “It would have been cakewalk for Congress had it nominated someone else or even Sudharshan Nachiappan, who staked claim to contest from here having won in 2004,” concedes the Congress leader. 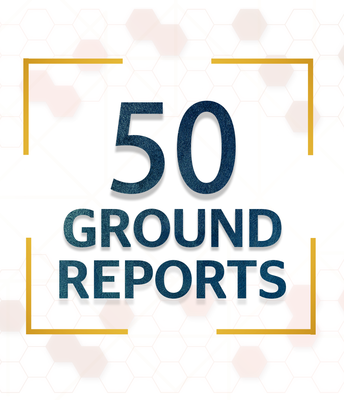 This report is part of Swarajya's 50 Ground Stories Project - an attempt to throw light on issues and constituencies the old media largely refuses to engage. You can support this initiative by sponsoring as little as Rs 2,999. Click here for more details.